Which Tigers Belong On The All-Star Team? I don’t usually get worked up about the All-Star Game voting/selection unless something egregious happens. If Cabrera was left off the team and Eric Hosmer made it, I’d have a problem. Otherwise, there’s no set definition of All-Star and the game doesn’t matter and getting four days off isn’t a bad thing. 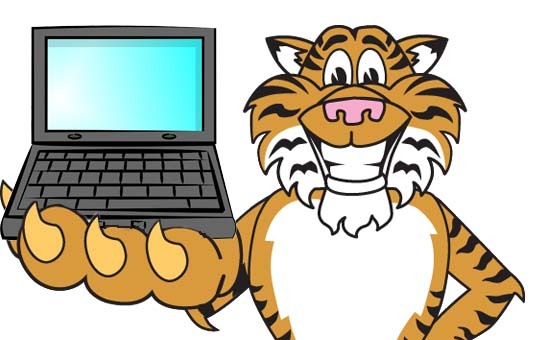 That said, let’s scan the Tigers roster and see who belongs. Well, Joba Chamberlain isn’t an awful choice, but there are more deserving people and not many spots. He’s not Greg Holland or Delin Betances. No one else is even really in the conversation. All three of these guys are “deserving,” but none of them are slam dunks at all. It depends how many starters a team takes and how many relievers, but Max is 8th in WAR, Sanchez is 15th, and Porcello is 19th among AL starters. Some of that is number of starts and innings, which I’m not a slave to when it comes to the ASG. If a pitcher has 2 WAR in 100 innings or 1.8 WAR in 90 innings, those are basically the same thing at this point in the year. I’ll consider it as a factor more when talking about awards. Min. 50 IP, Sanchez is 8th in ERA- and Porcello is 14th. Max is 28th. Using FIP-(which I care much more about), Sanchez is 5th, Scherzer is 9th, and Porcello is 29th. I think all three have been good enough that inclusion would be deserved, but I’m not going to argue that any of them have pitched well enough that they have to be on the team. Sanchez belongs most, I think, and he deserves recognition, but I don’t think any of them are clear All-Stars if we’re talking about 2014 performance only. If you want to include second half of 2013 numbers, star power, whatever, that’s fine. I don’t mind. But that’s not how I vote. So Hunter, Jackson, and Davis are obviously out. Among outfielders with 100 PA overall, Martinez is 24th in fWAR, but he only has 162 PA. If we’re looking purely at that group’s offense, Martinez is fourth behind only Trout, Pearce, and Bautista. I don’t think he’ll make it. The AL OF is pretty crowded. If he had started the year with the team and had regular playing time at this rate, he’s an All-Star, but you can’t pull deserving guys out of the game to stick him in. Cabrera is tied for first in WAR and is a top 5 hitter among the people who are really full time 1B. He’s one of the game’s biggest stars and is deserving. Seems obvious. Kinsler has a harder path because of the voting and the position, but he deserves it. He leads in WAR by plenty and sits right behind Altuve and Cano in wRC+. The problem is Dozier, who probably belongs as the Twins representative. There’s no question Ian is one of the best two or three second basemen in the AL and one of the best players in the league this year. I think he won’t make it onto the team because of the way the process works. That’s too bad, but I bet Ian won’t mind the time off. Although he could be a solid final vote choice. Yeah, not even a question. Leads in wRC+, leads in WAR. Might not win the vote, but an All-Star Game that includes a DH and doesn’t have Victor after this red hot start isn’t worth watching. I bet that Cabrera and Martinez make it. Maybe Kinsler gets a shot. JD Martinez won’t make it, but has a reasonable case if the season started a month late. The pitchers could all easily be on the team, but probably shouldn’t be. We’ve had a lot of All-Stars lately, but it might be a small crop despite the fact that this is the best start to a season, based on their record, since 2007. Funny, eh?